If you need Internet access while you're away from your home or the office, you should carry a travel router in your bag. Free Wi-Fi hotspots are nearly always insecure, leaving your PC vulnerable to attack. Fee-based broadband services at hotels often are limited to supporting wired devices, so you won't be able to connect your smartphone or tablet. If the service is wireless, the provider will charge a fee for each device you connect to the network. Use a travel router to connect to a Wi-Fi hotspot or a facility's broadband connection, and it will create a private, secure, wireless network with a robust firewall. You'll be able to use that service with your laptop, smartphone, or tablet, and you'll be able to share that connection with friends, family, and colleagues traveling with you--paying just one fee for everyone. Many travel routers are outfitted with USB ports that support portable hard drives, so you can share files or stream media over your network, too. 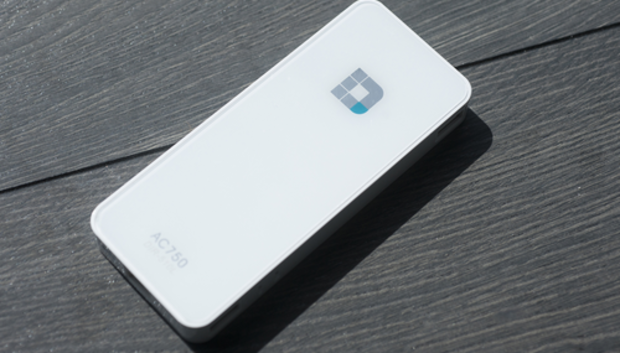 Have a smartphone plan that allows you to create your own private, secure Wi-Fi hotspot? Don't feel too smug. It probably has a data cap, and your carrier will slap you with huge fees should you go over. In most situations, you're better off paying a known fee for unlimited access, especially if you're sharing that bandwidth with other people. Allow me to explain what travel routers do, go over the features you should look for when shopping for one, and present hands-on reviews of six new models. From a functional perspective, a travel router is really no different than the router you have at home. It can share a single broadband Internet connection with a number of computers, tablets, smartphones, and other devices, and it can create a secure network where those devices can communicate and share files with each other. You should be aware, however, that if you're connecting to an unsecured Wi-Fi hotspot--and most of the public ones are--data traveling outside your private network to and from the Internet remains vulnerable to eavesdropping. Some routers are more capable than others, and some have more features than others. Here are brief explanations of the specifications you'll encounter when you go shopping for one. 802.11 standard Don't buy any router that doesn't support the 802.11n standard at a minimum. Some routers support the newer and much faster 802.11ac standard (up to 433Mbps, compared to 150Mbps to 300Mbps for 802.11n). Your clients must also support 802.11ac to take full advantage, but any Wi-Fi adapter based on any older 802.11 standard (802.11b/g/n on the 2.4GHz frequency band or 802.11a on the 5GHz band) will work with it. And in my experience, 802.11n client adapters usually perform better with 802.11ac routers than they do with 802.11n models. Battery power Your laptop runs on batteries, so why shouldn't your router? Finding an AC outlet isn't a problem if you're working in a hotel room, but cords are troublesome when you're in a coffee shop and nearly impossible when you're working out of your car or you're outdoors. Every travel router requires electrical power, but some can operate on either AC or battery power. Some routers plug straight into the wall, while others rely on an adapter and a cable (this is arguably a better option, because you'll get better range if the router is higher off the floor). Ethernet ports Most travel routers will have at least one ethernet port, so that you can plug into a hard-wired ethernet connection and create a wireless network. Routers with two ports enable you to create a secure wireless network with the WAN (wide-area network) port, and an even more secure wired network with the other. Most travelers will use the wired connection to support one PC. If you carry a wired switch, you could support as many wired clients as there are ports on the switch. Frequency band Most travel routers support only the 2.4GHz frequency band. The upside to this band is range; the downside is it's very crowded and suffers from interference with microwave ovens and other electronic devices. Dual-band routers support the less-crowded 5GHz frequency band, but you should expect to get less range there. Operational mode Most travel routers can be configured to operate in one of five modes, although not every router supports every mode. In router mode, you connect the travel router to a DSL or cable modem and it becomes a fully functional wireless router. In WAP (Wireless Access Point) mode, the travel router shares a wired broadband connection wirelessly with one or more clients. In WISP (Wireless Internet Service Provider) mode, the device becomes a client to a wireless Internet service (such as a Wi-Fi hotspot) and shares that connection with its wireless clients. In mobile router mode, you plug in a 3G, 4G, or LTE USB adapter and share the wireless data plan tied to that device. In repeater mode, the device will extend the range of a wireless router or wireless access point. It doesn't create a network of its own in this mode. And in bridge mode, the travel router makes a wireless connection to a network and is hardwired to a client that doesn't have a wireless adapter of its own. Speed Some wireless routers deliver more throughput than others. A router that supports one spatial stream using the 802.11n standard can deliver throughput of 150Mbps. A router that supports two spatial streams using that standard can deliver 300Mbps of throughput, and so on. A router that supports the 802.11ac standard can deliver throughput of 433Mbps per spatial stream. USB file-sharing port Plug a portable hard drive into the travel router's USB port, and you can share the files stored on that drive with all the computers on your network. If the router has a DLNA server, you can also stream music and video from that device to network clients. The router might be limited in the size of hard drive that it can power, however, and not every model supports drives formatted with Apple's HFS+ file system. USB charging port Some travel routers allow you to charge mobile devices from a USB port. Bonus points if they provide a separate port for this purpose, so you don't need to interrupt file sharing. Wi-Fi guest zone A router that supports this feature will enable you to share a broadband Internet connection with other people without granting them access to other devices on your network. WPS support Travel routers that support Wi-Fi Protected Setup (WPS) make it easy to connect a wireless client--there's no need to type in user IDs and passwords to gain access to the network. Bonus points for travel routers that have a physical button for this purpose--that's easier than logging into the router's user interface. I tested each of the six travel routers in this roundup in three different rooms inside my 2800-square-foot, single-story home. I used an AVADirect laptop with an onboard Intel Centrino Ultimate-N 6300 Wi-Fi adapter. I plugged in an Asus USB-AC56 802.11ac Wi-Fi USB adapter to test the only travel router in the roundup that supports the 802.11ac standard: D-Link's DIR-510L. I measured TCP throughput from a desktop server to the client using JPERF. Since several of the travel routers don't support both hardwired WAN and LAN connections, I installed an Asus PCE-AC66 802.11ac adapter in the server. D-Link's DIR-510L delivered the best overall performance in our benchmarks, thanks in large measure to its support of the new IEEE 802.11ac standard. This router can also run on battery power, and it can charge other mobile devices, such as your smartphone or tablet. Netgear's Trek PR2000 is our next favorite. While it's limited to operating as an 802.11n router on the 2.4GHz frequency band, it delivered outstanding range and proved to be faster at file transfers than D-Link's model. For more in-depth reviews of these and four other new travel routers, click the Next Article button, below. This will take you to each review, in order of their bottom-line score (highest to lowest).